T&S Environmental have a wealth of experience managing Asbestos related projects within the Hospitality Sector. Our experience in this sector makes us keenly aware as to the particular demands placed by the Hospitality Sector with regard to Asbestos Management. High footfall and limited closing times are just a couple of the significant hurdles which T&S Environmental have overcome in the past for our clients. Having completed major Asbestos management projects for national hotel chains, large shopping centres and numerous restaurants and leisure facilities, T&S possess the experience, skills and professionalism to ensure your works are completed on budget, on time and with a minimum of disruption to your on going business operations. We have numerous glowing testimonials from various organisations within the hospitality sector which speak to the efficient and cost effective hospitality sector asbestos management solutions which T&S Environmental offer. The unique requirements of these projects mean they are best handled by companies who hold the relevant experience, Licenses, Accreditations and skilled staff, T&S Environmental delivers on all of these fronts. 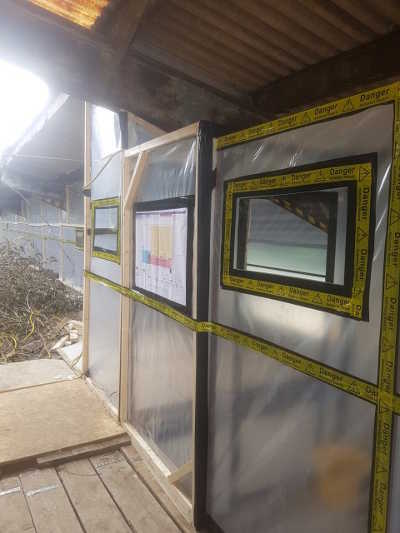 With numerous projects in this sector completed to date, on time and on budget, T&S Environmental are confident that they can successfully tender for any of your Asbestos Management, be in removal or encapsulation on whatever scale is required. The majority of our work in this sector is through recommendations and referral which speaks volumes as to the standard of work and professionalism shown. 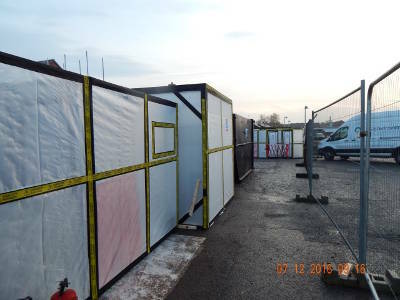 T&S Environmental have completed numerous large scale asbestos removal projects for leading national hotel chains. The unique demands of working in hotel environments is well understood by T&S Environmental. We can perform all on site works with unbranded vans and no insignia uniforms to avoid causing distress to your customers. For more information please contact us on 01375 398768 and one of our experts will gladly discuss whatever hotel related Asbestos Removal & Management issues you may be facing. Our Asbestos Removal & Management services can be offered in conjunction with any of our other offerings which enables out Hotel Industry Clients to reduce the number of contractors they need to liaise with and can lead to a more expedient completion of specified works and a simpler billing / invoicing process. Please see our extensive list of Industry Leading Accreditation’s for reassurance that T&S Environmental are at the forefront of the Asbestos Management Industry and a natural choice of partner for any Hotel relate Asbestos Removal issues. Having worked with multiple National Restaurant Chains and Independent Restaurant owners to resolve they’re Asbestos Disposal & Asbestos Management Issues, T&S Environmental are expertly placed to assist those in the trade faced with Asbestos issues. Our complete turnkey service can enable a fast turnaround on any required works, making your sites safe for workers and customers alike. All works can be carried out in discreet vehicles and uniforms, so as not to cause unnecessary distress to your former, current and future customers. Whether your issues are at a local or national level, T&S Environmental are uniquely positioned to bring your problems to a swift, compliant and cost effective solution. For more information please contact us on 01375 398768 or submit a contact form if viewing this outside of office hours. 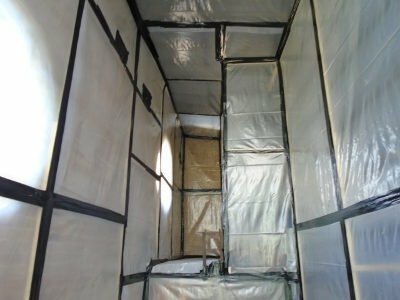 With large scale Asbestos Removal & Management projects in the Leisure Industry over the past decade, T&S Environmental offer a highly experienced Asbestos Removal Service in this sector. We understand the unique challenges that the Leisure Industry faces when dealing with Hazardous Waste Scenarios such as Asbestos. 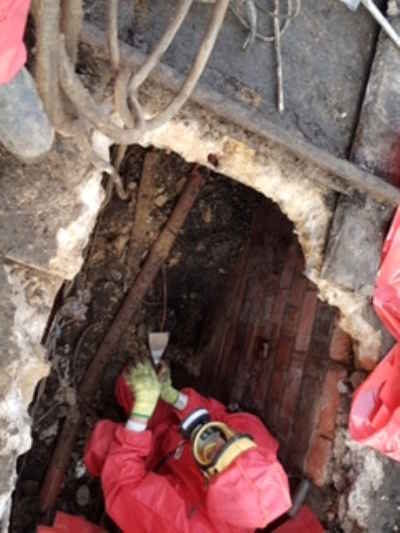 For more information from our expert team please contact us on 01375 398768 to learn more and to arrange a site survey to fully assess your issues. Alongside our other Demolition & Building related Services. This enables T&S Environmental to complete large scale works for clients in the leisure industry in an extremely expedient fashion, reducing downtime at your sites whilst maintaining the highest levels of regulatory compliance. Our wide set of Industry Accreditation speaks volumes to the lengths we have gone to to be leaders in our field and we always welcome new customers who share our vision of an Asbestos free future.